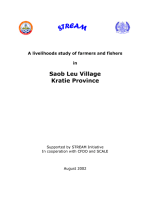 This is the report of a livelihoods study team working together with villagers from Saob Leu Village in Kratie Province, Cambodia from 10-15 July 2002. The team worked with 1530 villagers who volunteered to participate and represented the 177 households in the village. The villagers rely mainly on farming, with dry season rice being the most important crop. Most villagers are involved in small-scale fishing, with some having other skills. 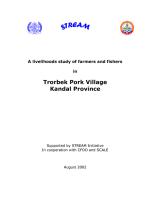 This is the report of a livelihoods study team working together with villagers from Trorbek Pork in Kandal Province, Cambodia. In Trorbek Pork Village there are 140 families and a total population of 700 persons. The primary occupation of villagers was farming dry season rice on 47 ha, and in addition cultivating vegetables such as corn, mung bean, wax gourd, chilli and sesame on 15 ha. Secondary occupations included fishing, garment making, singing, laboring and repairing machines. 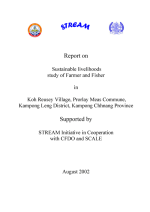 This study was based on the population census (1998) and key informant interviews (10 to 50 villagers voluntarily represented the 253 families of Dong Kom Village). There were 253 families with a total population of 1,192 persons. The primary occupation of villagers was farming, growing dry season rice on 1,900 ha, besides that they grow other vegetables such as corn, pumpkin and other vegetables on 200 ha. Secondary occupations were fisher, teachers, traditional medical practitioner, barber and other services. 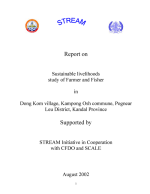 This is the report of a livelihoods study team working together with villagers from Dang Tong Village in Kampong Chhnang Province, Cambodia. In general, villagers are skilled in farming and mat weaving, but some villagers also have individual skills such as carpentry, boat making, hairdressing and fixing machines. Although this village is in the Tonle Sap (Great Lake) area, which has the most plentiful supply of fresh fish in the country, the villagers are subsistence fishers. The main objective of the study is to understand the villagers’ standard of living, hardship, external impact, present and future demand. The team interviewed with 15 to 60 villagers including men, women, young and old villagers, represented 135 families in the village. The main occupations of the villagers are farmers cultivating rice on 299 hectares of seasonal rice and 61.8 hectares dry season rice and fishers. Beside that, they have other occupations such as repairers, making thatch. In this issue: From resource user to resource manager: A significant change story. Significant change with Cambodian provincial livelihoods study teams. The Community Fisheries Development Office: One year on. CFDO open for business! 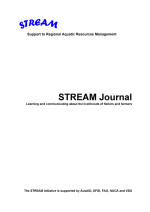 Stakeholders and institutional involvement in aquaculture management and development. 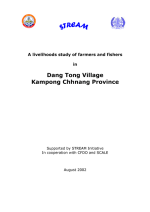 Fish seed production for aquaculture in Southeast Cambodia: Decentralisation - the way to go? About the STREAM Journal. About STREAM. 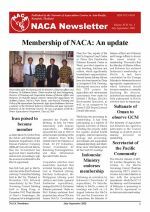 This edition is also available in Ilonggo, Khmer, Nepali and Vietnamese. 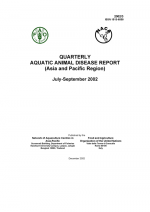 This report, the seventeenth in the series, contains information about the aquatic animal health status of thirteen states in the Asia-Pacific region. 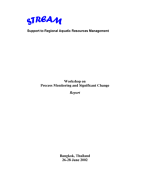 The foreword discusses outcomes of the first meeting of the Asia Regional Advisory Group on Aquatic Animal Health. Iran poised to become member. Indonesia Ministry endorses membership. NACA and FAO implements Phase II of the Asia-Pacific Regional Program on Molluscan Health Management. Message to NACA Alumni: Proposed Alumni Network. 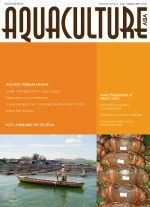 Research and Technology for Farmer and Environment Friendly Farming of Marine Fish in the Asia-Pacific. NACA Organises Four Training courses and Study Tours for Bangladesh in the third quarter. The aim of this workshop was to formulate an approach which would enable participants to start detailed work on a process monitoring system, building on current activities and using already existing skills in Cambodia, Nepal, Philippines, Thailand and Vietnam. Objectives were to familiarise participants with recent developments in process monitoring and significant change, and to develop an action plan for each country and a set of guiding principles for a monitoring system to underpin work in all countries.